Rauf Aregbesola, Gboyega Oyetola and Ahmed Tinubu. The meeting was held at the President’s office inside the Presidential Villa, Abuja. Osun State Governor, Rauf Aregbesola, on Friday led the state governor-elect, Gboyega Oyetola, to a meeting with President Muhammadu Buhari. 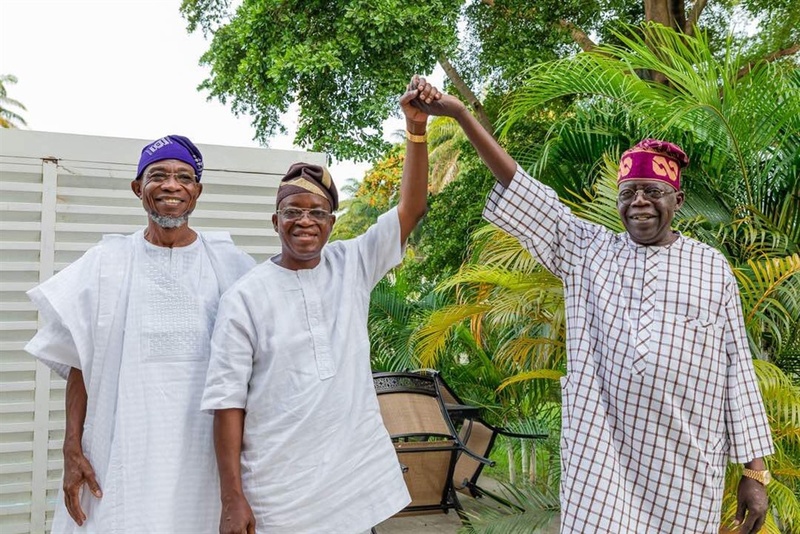 Oyetola emerged as the winner of the governorship election in Osun State after a re-run election that followed the September 22 election in the state. Meanwhile leaders and members of the Peoples Democratic Party are currently protesting against the outcome of the Osun State Governorship election at the headquarters of the Independent National Electoral Commission in Abuja.